What's an appropriate age to expose our children to the truth about Nazis, concentration camps and dead numbered in the millions? Those are horrible truths, but ones that can't be avoided if we are to have the next generation remember the self-sacrificial love, the bravery, and faithfulness of the many millions who rose up to fight this evil. 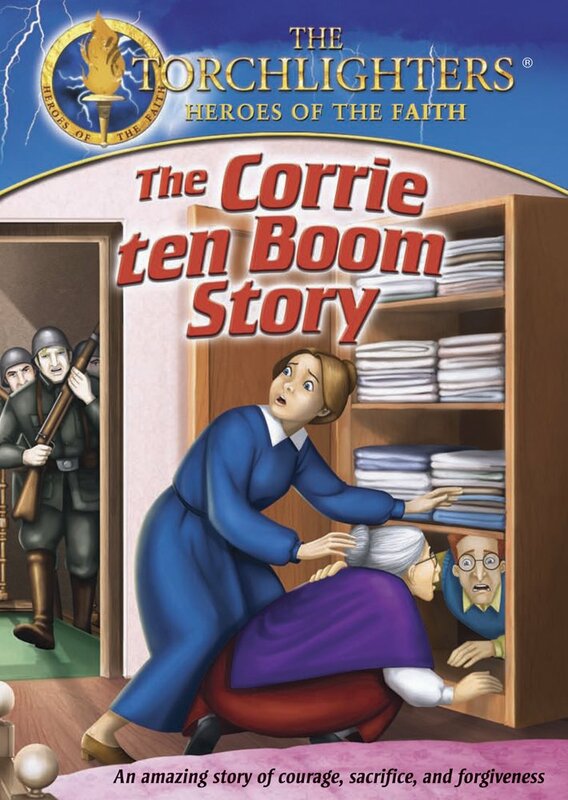 The Corrie Ten Boom Story might be a good way to begin. The film's producers suggest that it is appropriate for children as young as 8, but I read one review from a mother who watched it with her three and half year old (she pointed out to her little boy that the Ten Booms were Christ-imitators, offering up their lives to save the Jews). I don't know if I would go quite that young – I haven't shown this to my four-year-old yet – but the filmmakers have done a remarkable job of presenting a muted, yet still accurate account of the horrors of World War II. The Ten Boom family ran a watchmaking business in the Netherlands, and when the Germans invaded and started rounding up Jews, the Ten Booms began hiding Jews. It was a courageous yet simple decision for them – they knew this was what God wanted them to do. They helped many, but were eventually betrayed and sent to concentration camps. Here the same love for God that had them hiding Jews helped Corrie endure the loss of her father and sister – she trusted that God knew what was best. After the war she travelled extensively telling the story of God's faithfulness in all her trials. At one speech she met a former captor, a man who had viciously beat her. He was asking Corrie to forgive him. What would have been too much to ask of anyone, Corrie was able to do with God's enabling strength – she gave the man the forgiveness he was seeking. Corrie Ten Boom will be a familiar name to many. Her biography, The Hiding Place, is quite famous, as is a 1975 film by the same name, and I believe there is also a play that many Christian schools have performed. What sets this animated account apart is that it makes her story understandable and accessible to a much younger age group. I would highly recommend it for any school-age children, but it must be watched with adult supervision, so mom or dad can talk with any child who gets confused or worried.